Biodiesel Magazine profiles seven companies integral to boosting biodiesel markets through expert RIN management, proficient regulatory guidance, project consulting, customer-oriented maintenance and quality production. In a letter to U.S. senators, U.S. EPA Administrator Scott Pruitt announced two important biodiesel-related developments in RFS rulemaking: cuts to biodiesel will not happen; and the agency will officially deny moving the point of obligation. The U.S. Department of Commerce found that biodiesel imports from Argentina and Indonesia are sold into the U.S. below fair value, so it imposed preliminary duties on imports from these countries based on the amount of dumping found. The European Parliament Environment Committee's vote to phase out the use of biofuels by 2030 seriously undermines the EU's climate and sustainability objectives. It diverges sharply from the latest draft proposal from the EU Council. Ahead of a meeting Nov. 1 between the U.S. and Argentine governments on biodiesel imports, the National Biodiesel Board's CEO Donnell Rehagen said unless Argentina puts an end to its harmful differential export taxes, there is nothing to negotiate. The recent EU committee vote concerning reforms in biofuel policy from 2020-'30 would completely phase out RME by 2030. UFOP now places high expectations on the industrial committee, which is responsible for the RED II biofuel policy reforms. Hero BX will celebrate one year of business at its blending terminal in North Hampton, New Hampshire, by hosting an open house and appreciation event on Nov. 2 from 9 a.m. to 2 p.m. Customers, the community and media are invited to attend. From the Fall 2017 print edition of Biodiesel Magazine, attorneys from Latham & Watkins discuss in a Legal Perspectives column how three recent developments will shape the future of U.S. EPA’s Renewable Fuel Standard. Evonik Performance Materials GmbH recently announced a global price increase of 4 percent for its potassium methylate solution alkoxide, KM32, effective Nov. 1. The company stated, however, that all existing contracts will be honored. On Oct. 19 NBB responded to EPA's NODA, focusing on the advanced biofuel standard for 2018 and the 2019 volume for biomass-based diesel under the RFS. Late that day, EPA also released a letter providing assurances on different aspects of RFS. New York City's Department of Citywide Administrative Services submitted comments to U.S. EPA protesting any rollback of national renewable fuel standards and announced further expansion of its biodiesel use for city fleets and buildings. The National Biodiesel Board's state policy program is a key piece in advancing biodiesel markets and relies heavily on coordination with members and regional stakeholders.The industry saw a number of state policy milestones achieved in 2017. The application process for no-cost registration, travel scholarships, biodiesel poster presentations, and even a shot at the podium is open for members of the Next Generation Scientists for Biodiesel. Student scientists must apply by Nov. 19. A new academic paper published in Biotechnology for Biofuels shows biodiesel's benefits are even better than previous models suggest. More data is available now than ever before, and that data shows farmers are producing more on fewer acres. 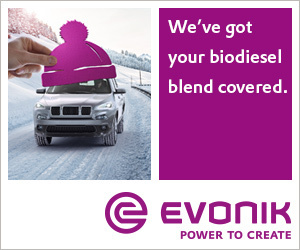 NBB continues to spearhead the only comprehensive national education campaign designed to promote biodiesel. The effort reaches audiences from national opinion leaders to local fleet managers, but a main component focuses on D.C. thought leaders.